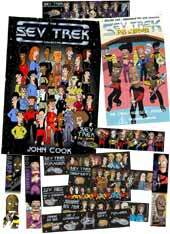 The Sev Trek Essential Pack contains all the essential items a Sevilian needs: the Sev Trek Video, the 80 page Sev Trek Book and all the Sev Trek Movie and Cartoon Bookmarks. 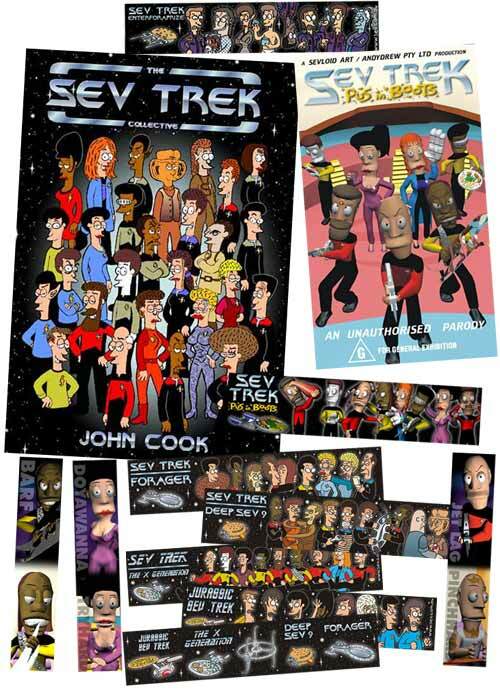 All the cartoon bookmarks (the handdrawn ones) are FREE in this pack! The tape format is VHS Video in PAL-B format, playable in Australia and most of Europe. Other countries are recommended to order the NTSC Essentials Pack instead. Here is a page listing what type of tape each country can play.